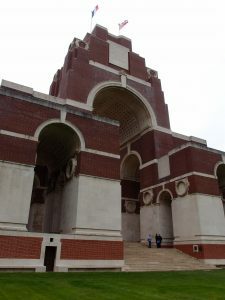 This post on the Thiepval Memorial is part of a series on the Great War sites of France and Belgium. 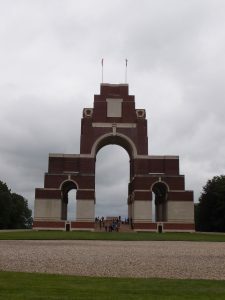 Thiepval was a strategic target during the battle of the Somme, as a rare patch of higher ground amid the flatness of the valley. Some of the most intense combat took place on this site, and after the war it was chosen as the site for the world’s largest Commonwealth memorial. 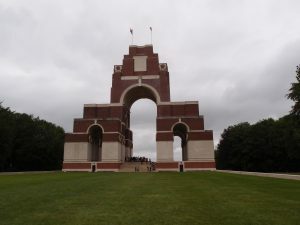 The 45-metre-high memorial lists over 72, 000 names of those British and South African soldiers killed and missing in this sector from the outbreak of war up to the beginning of Operation Michael in March 1918. Designed by Sir Edwin Lutyens, construction began in 1928 and the memorial opened on 1 August 1932, unveiled by the Prince of Wales (the future Edward VIII). It comprises a series of linked arches, each lined with panels listing the names of the missing. 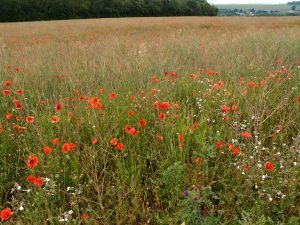 It’s an overwhelming experience to realise that the majority of these lives were lost in the battle-scarred months of July to November 1916, across only a few miles of the Western Front. We enjoyed meeting the volunteer guides who were living locally for a few months to inform visitors. If you meet them, they can help you find names on the memorial and give more information on its history and the local wartime happenings. There is ample car parking (including disabled parking) at the recently completed Thiepval Memorial museum and visitor centre, even when coaches are visiting. And they do visit, often! 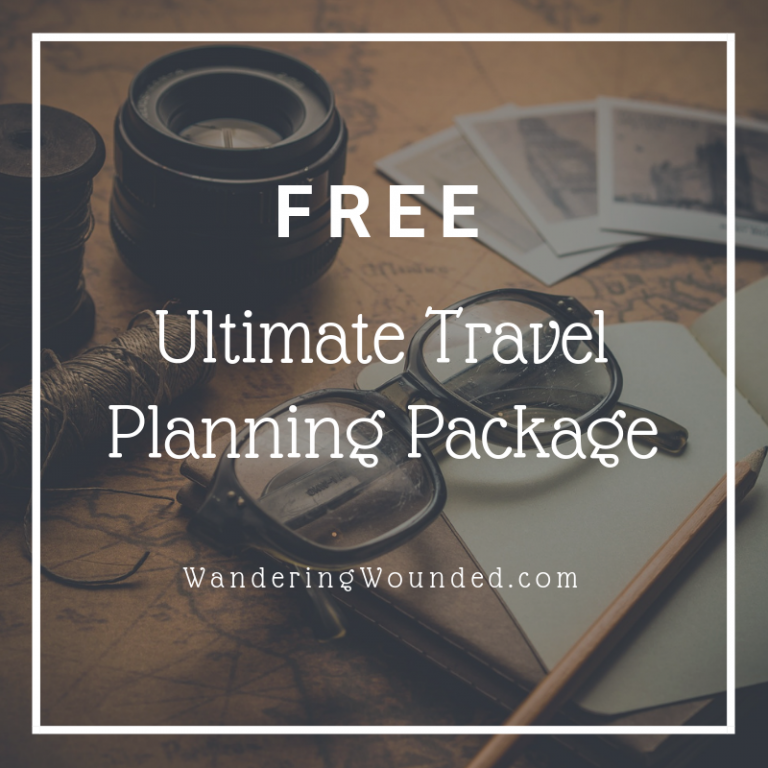 Thankfully, the site can absorb the school trips and pilgrimages without feeling too busy. From the car park, it is a relatively long walk to the memorial – around 400 metres across gravel and grass surfaces. To get a view of the memorial, however, you only need to travel around half that distance. 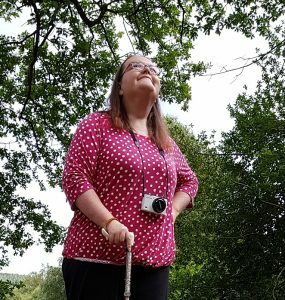 There are benches between the car park and memorial, as well as opposite the memorial (without having to walk the whole distance) and there is seating all around the bottom level of the memorial, without steps. There are many steps on the memorial but it is easy to appreciate scale from below. But it is not so easy finding names, though, as many of the panels are up the stairs. 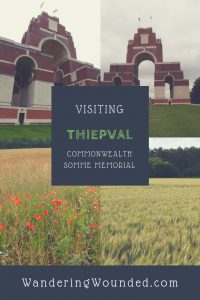 The Thipeval Memorial is an illuminating visit in terms of understanding the scale of the war in this sector and appreciating the grand scale of the post-war memorial projects. Overall, the visitor centre has great facilities and is a useful stop even if you do not visit the museum. The main museum (paid entry) is brightly lit with high contrast. Inside, a backlit black and white cartoon mural illustrates the Battle of the Somme before, during and after. It’s an affecting and simple portrayal, and you can follow the same regiments and compare their fates. Along the centre of this room there is a glass trench in which you can see items discovered in the fields around the memorial and museum; there are shrapnel fragments next to intact weapons next to food rations. Many of these were discovered when the 10-metre-deep foundations for the memorial were dug, along with unexploded ordnance and a warren of wartime tunnels. There is a great shop for books and kids’ items especially. The visitor centre has level access throughout with wheeling space. The shop is notably roomy, with a lowered section of counter where staff can process ticket and goods sales. Throughout the exhibitions, there is little seating in the museum. However, there is good provision in the free exhibition with benches in front of each section of display board. There is also seating as well as space in the film theatre. In the museum, there are a few aspects of the displays that might be difficult for some visitors to access fully. One section involves holding white boards under projections to read text, while there are short videos that are not subtitled. However, the mural is well worth the entrance fee. 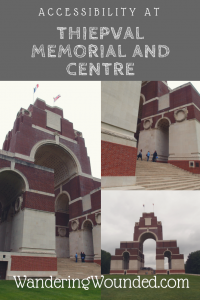 If you decide not to pay the visitor centre still has a lot of great information to enhance a memorial visit. There are accessible toilets in the visitor centre and vending machines if you need to replenish snacks and drinks.